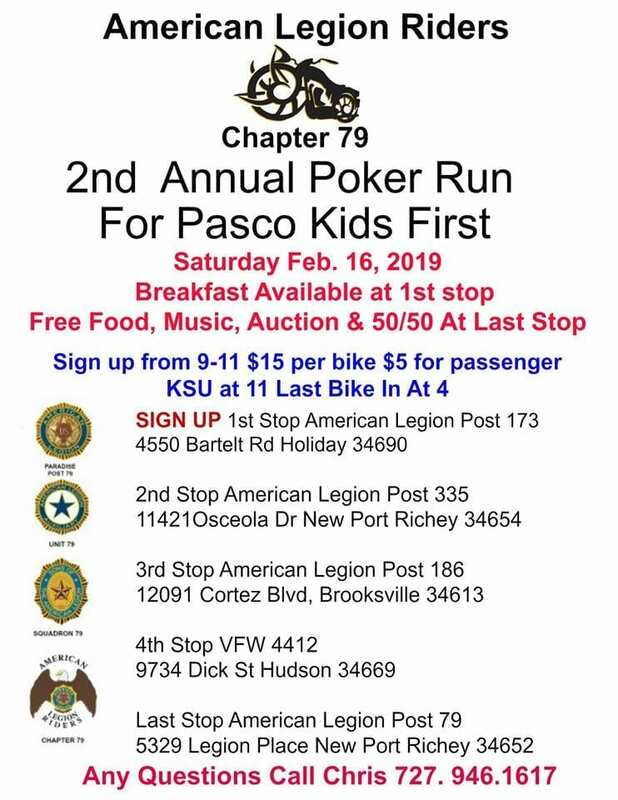 The American Legion Riders Post #79 are holding their 2nd Annual Poker Run to support Pasco Kids First on Saturday, February 16th. Sign up and breakfast at first stop from 9am – 11am – American Legion Post 173, 4550 Bartelt Road in Holiday. $15 per bike and $5 for passenger. Kick stands up at 11. 5 stops total. 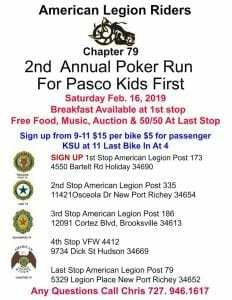 Last Bike in at 4pm at American Legion Post 79 – 5329 Legion Place in New Port Richey with free food, music, auction and 50/50! For more information contact Chris at 727-946-1617.